A new study of the Ecological Footprint Calculator used in classrooms in Italy and the UK identified several educational benefits, including making sustainability personal for students and providing insight on how daily activities affect national and global sustainability. The study, published online by the Journal of Cleaner Production, was co-authored by Andrea Collins of Cardiff University; Alessandro Galli of Global Footprint Network; and Nicoletta Patrizi and Federico Maria Pulselli, both of the University of Siena. 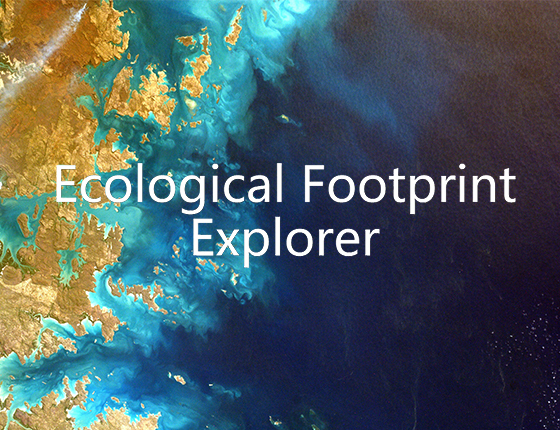 The article explores, for the first time, the educational value of personal Footprint calculators and their contribution in terms of enhancing awareness of the environmental consequences of consumption behaviors. The article outlines results from experiments with 20 postgraduate students at Cardiff University and 31 high school students attending an apprenticeship program at the University of Siena. Cardiff and the University of Siena have conducted research on the Ecological Footprint since 2002. After using Global Footprint Network’s Ecological Footprint Calculator, instructors facilitated an interactive class discussion in which students reflected on their results and considered ways they could reduce their Footprint. The majority of students focused on mobility decisions. Students noted that governments would need to improve infrastructure to enable them to address the mobility and housing components of their Footprints. Cardiff University students also reflected on the low use of renewable energy in the UK. Overall, students showed willingness to take small actions rather than make dramatic lifestyle changes. “By putting the sustainability debate in the context of their everyday life, as opposed to teaching abstract, intangible theories and concepts relating to sustainable development, students experienced firsthand—through the calculator exercise—the multidimensional character of sustainability and gained insight as to how the wide array of their daily activities affect the global sustainability discourse,” the authors wrote. Global Footprint Network is changing how the world manages its natural resources and responds to climate change to enable thriving lives for all within the means of one planet.